Backpack Manufacturers introduce is from backpacks manufacturers in China. As we know there are backpacks manufacturers around the world. So when we classify the backpacks manufacturers we can differentiate it by the location. For example by country there can be many different classify as below. American backpack manufacturers, australian backpack manufacturers, backpack companies uk, backpack manufacturers china. You can also differentiate by the city, like quanzhou backpacks manufacturers, quanzhou is a city of the south of China. A base of bags industry. 2. What a Backpacks manufacturers need? a. you need a Backpack workshop, a good workshop can let you store the raw material, semi-manufactured goods, also the backacpk machiness. 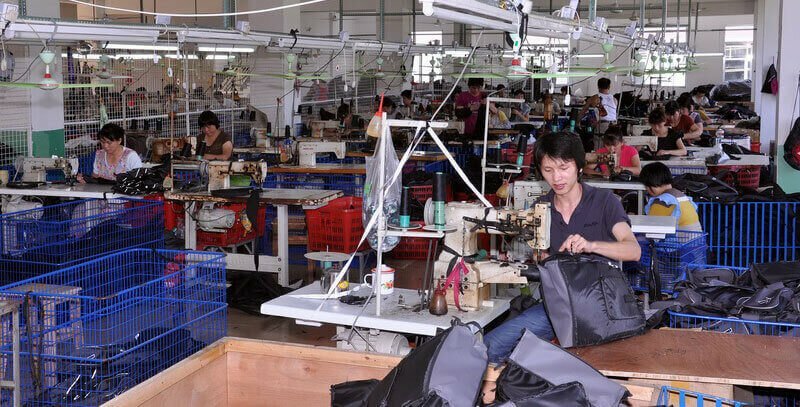 b. Backpacks manufacturers need workers, the full experience workers can let the delivery time more short, also can have a good quality backpacks, to avoid common problems of the bags before delivery to our clients by experience, can save our producing time and also improve the quality of our products, to earn the reputations. c, Backpacks manufacturers need machiness you also need some good quality machines. like Plain stitching machine, Computer stitching machine, Die cutting machine etc, this is essential machiness. b,whats more you need orders, oders can let your machine always runing good, also can let your workers be more experience, and let your raw material supplier believe you more give you a good quality and best price material. 3. How a Backpacks manufacturers design a backpack bags? a good backpacks design can let the backpacks bags sell well. and also can let a backpacks manufacturers be more bigger. Below is a experience of how we design a backpacks bags. a, first base on the backpacks classify to decided the style and the size of the backpacks.